For all your Southampton document shredding needs, G.H.S Recycling Ltd can provide a great quality service. All documents we shred are kept under secure conditions and disposed of in the correct manner, always complying with the Data Protection Act 1998. Document shredding in Southampton can be done either as a one-off service or regularly to suit your needs. We offer daily, weekly or monthly services. 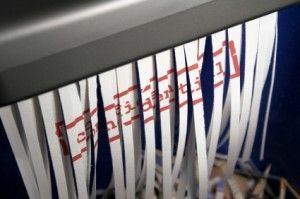 When we are chosen as your Southampton document shredding provider, we always make sure that your data is kept securely. G.H.S Recycling Ltd knows the importance of confidential data destruction and document shredding and we always make sure that we abide by the Data Protection Act 1998 to protect all data held in all of your documents. We like to make our document shredding procedure as simple as possible for our customers. Our trucks will collect your confidential waste and securely pass it onto our shredding facilities. No data is kept, all documents are shredded on site in the correct environment. Not only do we comply with the Data Protection Act 1998 but our document shredding services will also help your business to do the same. This way, the data within the documents is not kept for longer than absolutely necessary; it’s kept safe and secure and is destroyed in the correct manner and environment. Here at G.H.S Recycling Ltd we understand that every business has a legal obligation to protect the confidential information about all customers, employees and suppliers, and can face heavy charges or in some cases even imprisonment if this obligation is not met. No one wants this, so we provide our Southampton document shredding at an affordable price for our customers and we like to help their business to run smoother, while taking some of the stress away. Here at GHS we understand that every business has a legal obligation to protect the confidential information about all customers, employees and suppliers, and can face heavy charges or in some cases even imprisonment if this obligation is not met. No one wants this, so we provide our Southampton document shredding at an affordable price for our customers and we like to help their business to run smoother, while taking some of the stress away. All documents that we shred are recycled, helping to protect the environment and helping to reduce your businesses environmental footprint. G.H.S Recycling Ltd are passionate about creating a sustainable environment and we promise that all of your shred documents will be recycled correctly to help our environment. Arranging your document collection couldn’t be easier. Chat to us and we can work out a schedule to suit your business needs. Our service is there to benefit you, and we will always be regular and reliable in our collection service.